TALK about adding insult to injury. You’d think Communications Minister Pat Rabbitte would realise that introducing a new tax is more than enough to get the citizens riled up, without personally offending them while you’re at it. 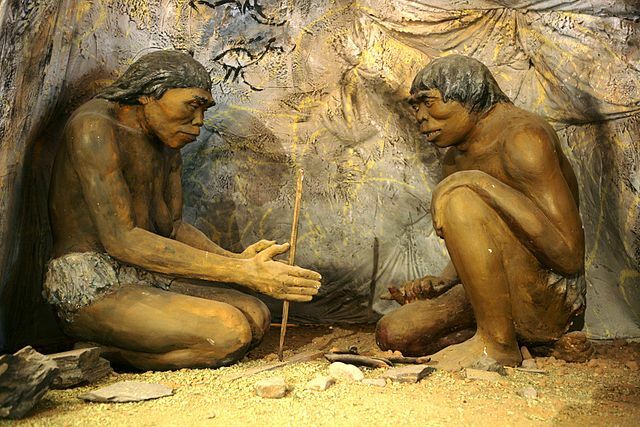 Announcing a consultation period (to wit, window-dressing) on the new public service broadcasting charge, Rabbitte told RTE’s Morning Ireland this week that he didn’t believe there were “cavemen” in Ireland who don’t have televisions or iPhones. At once, all the cavemen in the country whipped out their stone tablets and wrote to the papers to express their annoyance, in Ogham script, at the nerve of the man. But even if Rabbitte hadn’t put his well-heeled foot in it, opposition to the new public service broadcasting charge would still be growing more and more vehement. Just as choosing not to ‘consume’ mass media doesn’t make you a troglodyte, complying with the law on the television licence doesn’t mean you support RTE. Even that imaginary cohort who sit glued to the Late Late every Friday, and whose water-cooler conversation runs to Fair City, must take exception to the prospect of giving more and more succour to the fatally bloated beast of Montrose. Let’s begin, though, by calling this charge what it is. The word ‘charge’ implies a fee for an optional service, like the television licence, which you could avoid by not owning a television. This is a tax. There’s nothing discretionary about it, and once Rabbitte engages the Revenue to collect it, as he’s considering, then the money will be demanded with menaces. The property tax – even income tax – is more voluntary than this. There is some support for it, but it is mainly to be found among those who can’t stand paying anything that others are getting away with not paying. Their sentiments are understandable, but they’re in no way a justification for making everybody pay for RTE, whether they want it, or approve of it, or not, which is what this amounts to. The delinquency rate on the television licence is some 18%; as to what proportion of that 18% are “cavemen”, and what proportion object to paying for a service they don’t use, or which they think isn’t fit for purpose, we do not know. Rabbitte believes, of course, that public service broadcasting is a social good that everyone should pay for irrespective of need, like hospitals or schools (though not, it must be added, newspapers – anyone proposing a state-funded public-service newspaper would be laughed out of government). That idea of broadcasting as a social good has held sway globally since the era of Lord Reith, first director general of the BBC, who decided that organisation’s mission should be to “educate, inform and entertain”, in that order. But that was the 1920s, when there was only one national broadcaster, which had to be carefully controlled; left to its own devices, it might broadcast untold trash to an impressionable populace. Now, there’s a proliferation of broadcasters – and a proliferation of trash, even on the so-called public service stations. Reith would have been the first to acknowledge that all the worthy documentaries about the customs of pre-Celtic Ireland, or the mating habits of the basking shark, will count for nothing against the latest episode of ‘America’s Got Talent’ on a rival channel. We get the television we deserve, it seems. But even if you allow that public service broadcasting is the one true path to an enlightened society, do we not get to decide for ourselves what we mean by public service broadcasting – what it should do, and how it should do it? Are we to have no say at all? Do we just have to keep forking out 220 grand a year for Derek Mooney without a peep of protest? Can’t we reconsider? First, there’s the cost of it – and not just the exorbitant sums RTE still pays its ‘stars’. In its latest annual report, the broadcaster announced a net deficit of €62.5m for 2012, pleading a pesky “restructuring charge” of €46m. How is that even possible, on combined revenue of €337m? Yet the minister proposes throwing even more state money at an organisation that demonstrates, year after year, that it can’t manage money. Second, there’s the supposed ‘independence’. The whole idea of public service broadcasters is that they’re supposed to be free from commercial interference. But RTE is chasing advertising with the rest of the pack and, if its competitors are to be believed, outpacing them all with the help of its comfortable, state-funded head start. Third, there’s the wanton misinterpretation of the very term “public service”. Take 2FM, for instance. It used to be self-funding – indeed, it used to generate enough revenue to assist Radio 1. Not any more. Your licence fee is now officially helping to prop up 2FM, which is no better than the blandest commercial radio station. Does RTE honestly think 2FM is public service broadcasting? And The Mooney Show? If so, how can we disabuse them of the notion? Readers may recall that, until very recently, Pat Kenny was a public service broadcaster. As such he required (latterly at least) €630,000 a year of state funds, so that we could all keep on getting what was good for us. As of tomorrow morning, Kenny is officially no longer a public service broadcaster, and whatever function he fulfils at Newstalk will be supplied at no cost to the taxpayer. Kenny, presumably, has not changed (though time will tell); all that’s changed is the description of Pat Kenny as an essential state service. It’s a bit much to swallow. Jim Jennings, Head of Radio 1, was fretting on Thursday’s Drivetime about the future of RTE, in the event that it loses more ‘stars’ to the lure of better money elsewhere. But as presenter Audrey Carville shrewdly pointed out, Morning Ireland is the most popular programme on RTE radio, yet none of its presenters is among the best-paid people in RTE. It’s true. RTE has shown it can produce a programme that’s as brilliant and simultaneously as popular as Morning Ireland, and can do so, miraculously, without pumping its presenters full of zeroes and slapping them on the cover of the RTE Guide in Christmassy jumpers. It has shown it can produce drama, documentaries and current affairs that people want to see. RTE can do public service broadcasting; it’s just trying to do too much else, and making a hames of it. The Broadcasting Authority of Ireland (as well as TV3) has called for RTE’s use of advertising to be overhauled. But that doesn’t go far enough. RTE should be pared back to a purely public service organisation, subsisting on state funding only. And if that means getting rid of RTE 2 and 2FM, all the better. If it means broadcasting for only eight hours a day, what of it? If it means a succession of documentaries about basking sharks that no one wants to watch, so be it. That’s public service broadcasting for you. At least we would be getting what we’re being asked to pay for.